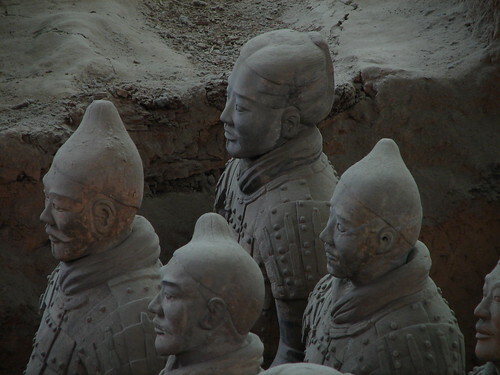 A select few of the Terra-Cotta Warriors outside of Xi'an. This place is unbelievable. Yes, I was polite and did not use a flash, although many tourists without steady hands felt the need for flashes.